Welcome to Episode 259 of Linux in the Ham Shack. In this episode, we talk with Pierros Papadeas, SV1QVE, of the SatNOGS project. 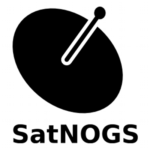 We take a deep look into the Open Space Foundation, SatNOGS and the linked satellite ground station network they have put together. We look under the covers at the software and hardware that make the project work, talk about its past and its future direction, and much more information about satellites in amateur radio, rotators, single-board computers, networking, aggregated information databases and much more. Thank you for listening. We hope you enjoy.